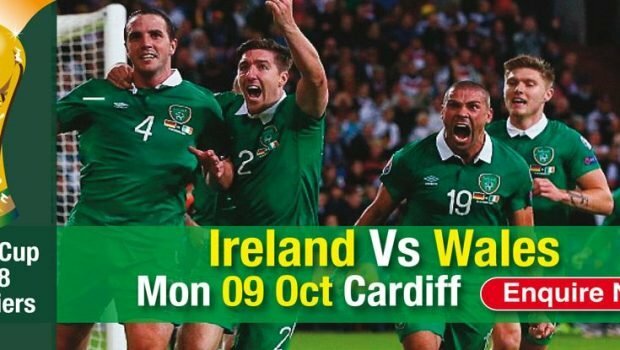 Martin O’Neill’s Republic of Ireland side will fancy their chances of causing an upset in the Welsh Capital as they travel to face a team who are missing their talisman on October 9. Gareth Bale has been ruled out of both of Wales’ qualifiers after sustaining an injury playing for Real Madrid. The former Spurs man took a knock to his calf against Espanyol and, as a result, he isn’t available for Chris Coleman’s side. This is a huge boost for O’Neill’s men who desperately need all three points in Group D. Prior to the Moldova clash, Ireland had won just one of their last five matches and qualification for Russia appears to be slowly slipping away from them. ROI are missing a few players for this clash including Kieren Westwood who is struggling with a rib injury whilst Eunan O’Kane has been carrying an injury since the middle of September, although may be fit enough to feature here. Jonathon Walters hasn’t been selected as he recovers from a leg injury that has prevented him playing for Burnley in the Premier League. The good news for O’Neill is that both James McLean and Robbie Brady return from suspension in time for this clash with the latter extremely dangerous from a set-piece situation. Aston Villa striker Scott Hogan has received his first call-up for this encounter but he may have to be content with a place on the bench. The Republic of Ireland come into this tie unbeaten on the road and they are likely to battle their way to at least a point in Wales. They’ve already collected all three from visits to Moldova and Austria, although, more recently, they were disappointed not to leave Tbilisi with more than a single point. These two sides played out a goalless draw in March and a similarly cagey affair is expected. Without Walters, Ireland lack a target man whilst Bale’s absence should detract from the host’s creativity. You can find details of all of the top Irish bookmakers here at BettingTop10, including Paddy Power, who make Wales 5/6 favourites for this tie, with Ireland priced at 3/1.